Using only the finest and most genuine of leather, the Rogue full grain leather hats retain all the natural markings and texture of the original hide with minimal treatment in manufacture. 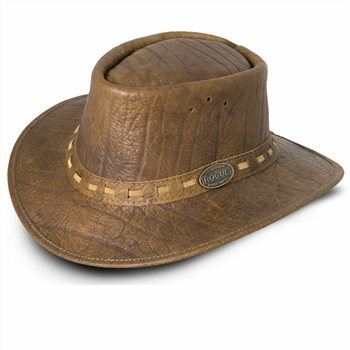 The Rogue Inyati uses 2mm original buffalo leather which is treated with a blend of oils and waxes to give a supple yet durable hat. One of the key features of these leather hats is that they become softer and more attractive with age and normal wear.